HPZS and its predecessor firms have been providing innovative architectural, preservation, and interior design services to a wide variety of public and private clients since 1976. The conventional A/E services offered by the firm are complemented by unique and specialized experience with Historic Preservation, Sustainable Design, Adaptive Reuse, Prefabrication, and Building Materials and Systems Failure Analysis. HPZS has received numerous national, state, and local awards for its work in these areas, and looks to the future focused on continuing to provide its clients the most sustainable outcomes with a palate of services in support of integrated and energy-efficient design. 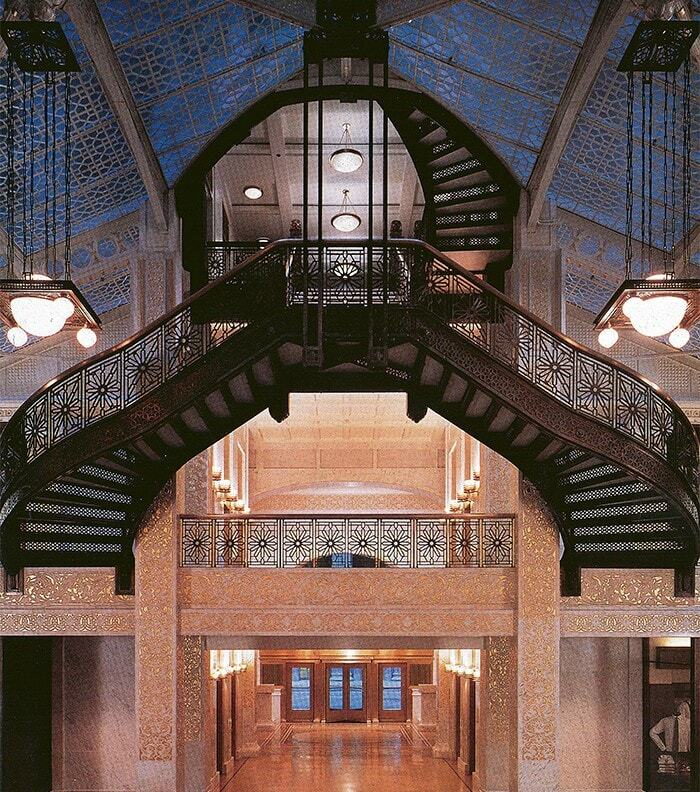 Our projects have successfully restored, renovated and even saved some of Chicago’s and the Midwest’s most iconic historic architectural gems, from the Henry Hobson Richardson designed Glessner House, to the Rookery Building by Burnham & Root, the Dana Thomas House by Frank Lloyd Wright, and Louis Sullivan’s Peoples Savings Bank in Cedar Rapids, Iowa. HPZS provides innovative design services for a wide variety of buildings and structures, both large and small, ranging from numerous projects at Chicago’s Museum of Science and Industry and The Chicago Temple Building, to the development of a full block-long commercial district at the University of Illinois at Chicago’s South Campus, to the redevelopment of the Chicago Housing Authority’s Dearborn Homes. HPZS has a global influence, with new and preservation projects located both domestically and internationally. The history of HPZS spans nearly a forty-year period and is deeply intertwined with the history of historic preservation in Chicago. Wilbert Hasbrouck, the original founder of HPZS, began his architectural career in Chicago establishing the Prairie School Press in 1961, publisher of the Prairie School Review, and later opening and operating the world-famous Prairie Avenue Bookshop with his wife Marilyn. After his years as the executive director of AIA Chicago from 1968 to 1975, Wilbert started his firm, Historic Resources – The Office of Wilbert R. Hasbrouck in 1975. At that time Wilbert was one of only two architects in Chicago who seriously promoted the preservation and restoration of the buildings that comprise the historic fabric of the city. HPZS has continued to work on historically significant projects locally, nationally, and internationally, including pioneering restoration work in Thailand which includes the 1768 former palace Boran Satan Phrachawangderm, currently occupied by the Royal Thai Navy, and the adaptive reuse of a 19th century finance ministry building as a Royal Textile Museum for the Queen of Thailand. HPZS has participated in and completed many projects involving all aspects of historic preservation, and worked extensively with many Historic Preservation Offices and Agencies on both a national and state level, providing it’s clients excellent and beautiful results. With a strong and extensive adaptive reuse portfolio, HPZS leverages its knowledge of historic buildings in order to repurpose yesterday’s structures for today’s uses. Coupled with our expertise in affordable housing, we provide truly integrated seamless, creative solutions to unique architectural issues facing rehabilitation projects. 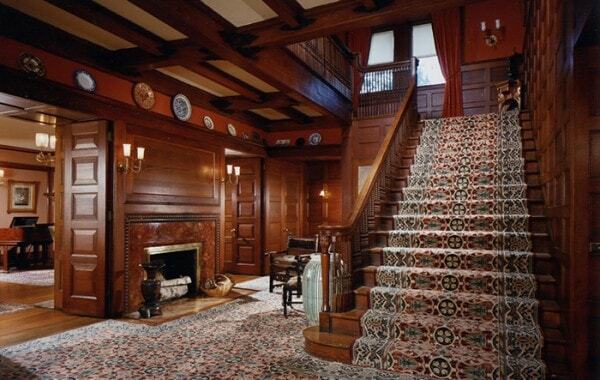 HPZS’s interior design services have provided both contemporary and historic restoration services for both residential and preservation clients. Our commercial interior design practice provides solutions for mixed use, retail, and hospitality projects as well as corporate interiors. HPZS believes in the quality of design through the auspices of the Integrated Design Process. Establishing relationships with the entire team of consultants and project stakeholders early on, providing goal-setting as well as a multi-disciplinary, collaborative approach results in the most sustainable outcome. HPZS frequently serves as a consultant to Owners and other architects and engineers for the testing and analysis of building material failure and conservation issues. The firm is particularly skilled at developing creative, cost effective solutions to the unique problems that historic buildings face. Providing building owners with the critical examination reports and on-going inspections required by the City of Chicago as part of the Façade Ordinance, our highly trained swing-stage certified personnel inspect and prepare maintenance programs for numerous buildings, as well as services for large-scale façade restorations. HPZS provides feasibility assistance early in the design process to help our clients make a determination regarding LEED certification. HPZS is skilled in providing LEED project assistance with specifications, as well as submission of LEED documentation and coordination with consultants and contractors. HPZS provides skilled grant writing services in order to help obtain funding sources for our clients ‘”green” projects, especially for those whom which are designated as non-profits and are looking to incorporate renewable energy solutions such as solar-electric and solar thermal technologies.